The Père Lachaise cemetery is the most extensive and well known cemetery in Paris. There are buried famous celebrities and personalities. Here is a historical panorama of the Père- Lachaise cemetery and information on its access and prices. This cemetery is the most visited in Paris. It is located in the 20th neighborhood of the capital and its name is from the priest confessor of King Louis XIV. It is an English park and it extends over 44 hectares and 70,000 concessions. It exists since 1804. That year the cemetery had only 13 graves and rose to 833 in 1812. You can find several styles in this park, from the Gothic to the Haussmannian style and the antique style. 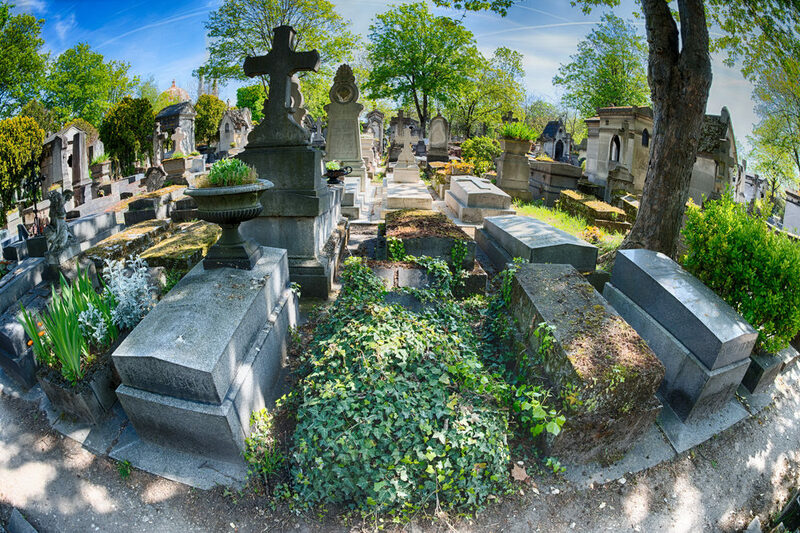 You can discover the burials of famous characters such as Jim Morrison, the writers Oscar Wilde and Honoré de Balzac and the singer Edith Piaf. You will be able to discover both these burials and the history of this cemetery and to walk in peace. The visit of Père-Lachaise is free. Guided tours are held on Saturdays and Sundays. It is open from 8:00 am to 5:30 pm Monday to Friday between November and mid-March, and from 8:30 am to 5:30 pm Saturday and from 9:00 am to 5:30 pm on Sundays and on public holidays. Between mid-March and October it is open from 8:00 am to 6:00 pm from Monday to Friday, then from 8:30 am to 6:00 pm on Saturday during the same period and from 9 :00 am to 6 :00 pm on Sundays and public holidays such as the 15th of August or 14 th of July. For more information on the Père-Lachaise cemetery, visit the Paris Tourist Office website.